Motor-operated closure with triple-protection, guarantees a total safety, greater ease of handling and a reliable self-regulation of the hatch. 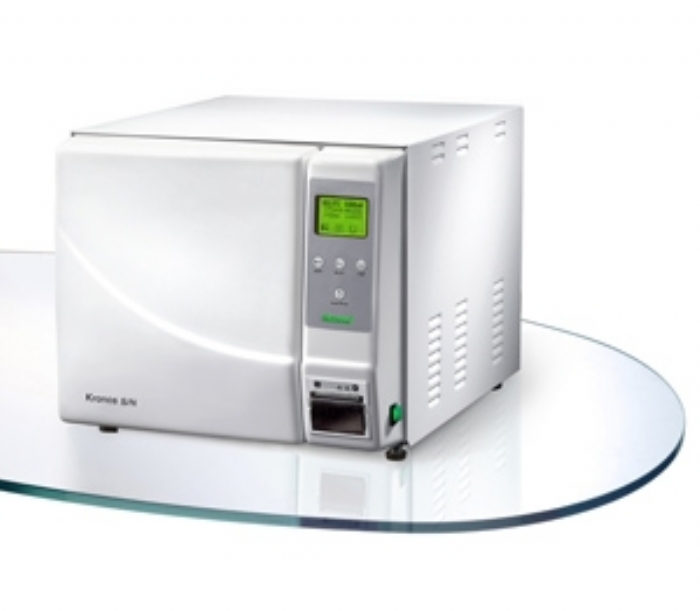 Instantaneous Vaporizer outside the chamber allows higher sterilization speeds and reduces water consumption. Thermal printer installed on board the machine to allow complete recording of the sterilization cycle. Ensures the user greater cycle control and easy archiving. Multi-language graphic display makes it easier for the operator to select the sterilization cycles, continuous control over the cycle phases and gives graphic indication of the errors committed by the operator. It is possible to store the data on a PC. Stainless steel chamber Made of thick one-piece moulded steel. Newmed was created to satisfy the needs of customers who demand safety, reliability and simplicity all in one sterilization instrument.